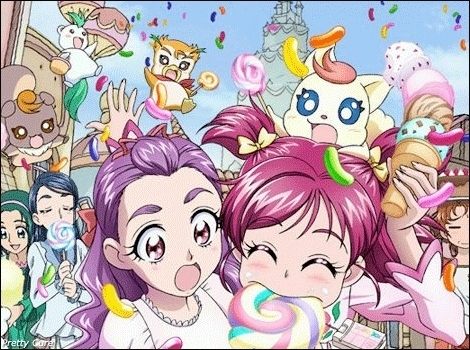 she ate my lolly. . Wallpaper and background images in the pretty cure club tagged: anime pre cure pretty cure girls. This pretty cure photo contains নকল মানুষের, কমিক বই, কমিকস, and কার্টুন. There might also be ঘজত্যুই.